It’s been a while since I’ve written a post on order fulfillment fees. Lately, though, I’ve been seeing a lot of different models related to how fulfillment companies, like ours, are pricing their services, so I thought it’d be a good time to revisit this topic. Let’s start with a few definitions…..
What is a 3PL provider? A 3PL (third-party logistics) provider is defined as any company that offers outsourced logistics services. The services offered from a 3PL may include procurement, production, warehousing, distribution, transportation, asset management, or any combination of those and other logistics-related services. While a 3PL covers a broad range of logistics services and providers, an order fulfillment provider is defined as a company that handles the tasks specifically associated with picking, packing, and shipping of customer orders. An order fulfillment provider will typically warehouse goods on behalf of their customers. Once orders are received from their customers, the order fulfillment provider will pick the items from their warehouse shelves, pack them into a shipping container, and then prepare orders for pickup from shipping carriers, such as FedEx and UPS. Order fulfillment providers can handle a range of order types, although, in the case of eFulfillment Service, we predominately work with ecommerce sellers and ship small parcels direct to consumers. What is an order fulfillment fee? An order fulfillment fee is defined as the cost associated with a particular service that relates to the order fulfillment process, such as receiving, inventory storage, order processing (pick/pack), and returns processing. What does cost per order mean? Cost per order is defined as the total fee to be paid for all services associated with fulfilling a single order. The cost per order should factor in both variable costs, such as pick and pack, as well as fixed costs, such as inventory storage and any account management fees. What is a “tricky” fulfillment fee? Below I mention that ecommerce sellers may come across “tricky” fees when evaluating a fulfillment service provider. By tricky fee, I am referring to any fee that is either, a) difficult to understand, b) is listed in the fine print, and/or, c) is different than what was initially advertised. As an ecommerce seller, figuring out your total cost per order is critical when evaluating order fulfillment companies, and the reason is that these companies all charge a bit differently. Below I’ve included a table that breaks down a few common order fulfillment pricing models. Below is a chart that overviews common order fulfillment fees and pricing models used by various 3PLs and ecommerce fulfillment companies. The table above overviews common order fulfillment pricing models, although fulfillment providers will often have stipulations or add-ons related to these services. For example, some fulfillment companies will charge a “long-term storage fee” if your merchandise sits in their warehouse for too long. So, while that company may advertise one storage rate, for many of your products, you may get hit with their long-term storage fee, which is substantially more costly. Another example relates to minimums that are often imposed by order fulfillment centers. The company may advertise a low pick/pack rate, although that rate is predicated on doing a certain volume of orders each month, so if you don’t hit that volume, you are charged a minimum monthly fee, such as $500 or $1,000. Because of the varying fulfillment pricing models out there, and because of these tricky fees that can be added on, it is important for merchants to get a firm handle on the total cost per order that they will pay based on their order volume, their products, and their requirements. Below is a chart which serves as an order fulfillment cost calculator, taking multiple fees and breaking them down to a beneficial and easy-to-understand total cost per order. Here is an overview of how the Total Monthly Fee section was calculated…. Given all of the different fulfillment pricing models, putting together this type of calculator helps ecommerce sellers to break down their fulfillment cost per order. And if you are receiving fulfillment quotes from multiple providers, it will allow you to better compare apples to apples. As you are doing so, remember to factor in any fixed costs or tricky fees that may apply to your situation. 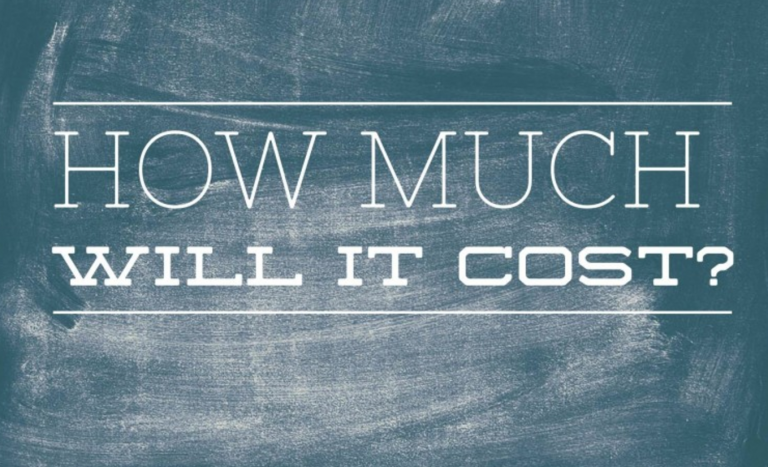 When evaluating fulfillment companies, cost is certainly a consideration. However, it’s also important to keep in mind that there are several other things to consider aside from price. For more on that topic, here’s a post I wrote on evaluating the best fulfillment companies. Order fulfillment companies use a range of fees and pricing models with ecommerce sellers. Therefore, it's important to calculate your cost per order. We are seeking fullfillment for our monthly box subscription. Here at eFulfillment Service, we have a great deal of experience with monthly subscription order fulfillment. We would love to provide you with more information on our company and services. Someone from our sales team will be in touch with you shortly! We are launching a new e-commerce site in the next 60 days. We want to do fulfillment in South Africa for our African customers. Do you guys have facilities there or can you connect us with someone in your network with fair pricing? Thanks. Thanks for reaching out here. We don’t currently have order fulfillment centers in South Africa; however, we can ship to Africa from our facility here in the U.S. I also don’t have any solid recommendations for fulfillment centers in South Africa at this time. My apologies I can’t be of more help. Calculate post costs? Do you have contracts with mail companies and the post office? 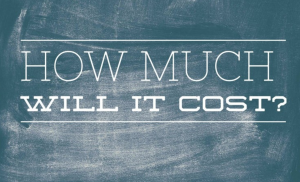 How much does mailing cost reduce by your system? For example, what is the cost of a one kilogram transfer from your center to a customer in New York City? Thank you for the comment here. Regarding your question, the shipping cost can vary depending on the ship method used and also the size of the package. We’d love to hear more about your ecommerce business and products and provide you with more information on our order fulfillment services. If you’d like to receive a quote, you can fill out the form below and it will go directly to our sales team…. Thanks for the inquiry. This is a great question. Unfortunately, it’s a difficult one to answer, as order fulfillment cost models can vary quite a bit from warehouse to warehouse based on several factors, including product type, order size, order volume, software, slotting strategies, automation and equipment, and more. I wish I could provide better information, but, with all of these factors, that really is no standard when it comes to order fulfillment costs, and most warehouses are simply working toward continuous improvement, whether through smaller, incremental steps, or with bigger investments, such as a new warehouse/labor management system, or higher levels of automation. Hi we are a uk based company looking to branch out into the USA. The cost of our products are very low, do you have a package where your costs are a % of retail cost? Thank you for reaching out regarding our order fulfillment services and pricing. We work with numerous UK-based businesses to help them grow here in the U.S., and we’re looking forward to hearing more about your company. We will reach out to you soon with more information!